Maho Beach is no peaceful paradise. Its blue skies are overshadowed by low-flying jets, while the crashing Caribbean surf is drowned out by roaring engines. With the runway just metres from the sand, thrillseekers and plane spotters can experience extreme encounters with aircraft every single day. Sunbathers face powerful winds of 240 kph (150 mph) every time an aircraft comes in to land. One of the Caribbean’s busiest airports, Princess Juliana International on Saint Martin island has unintentionally become a tourist attraction due to its low-flying aircraft. Saint Martin is the smallest island to be split between two nations. 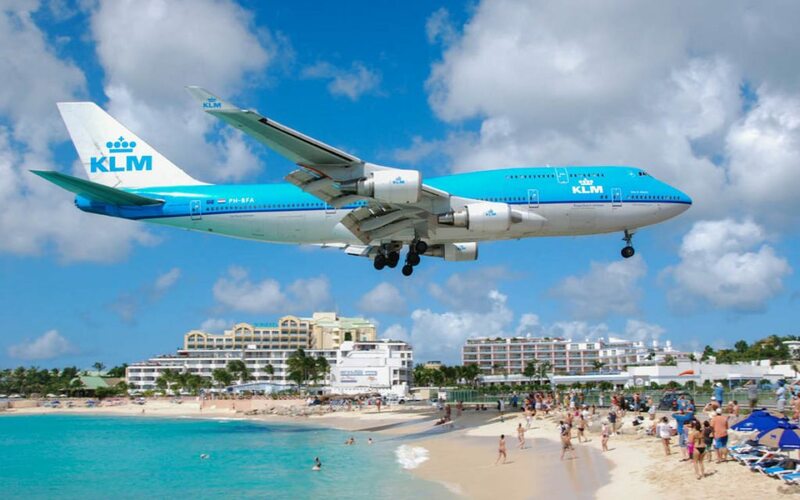 Holland and France share the idyllic isle, with Maho Beach on the Dutch side.